You will extend your knowledge of different lace techniques. 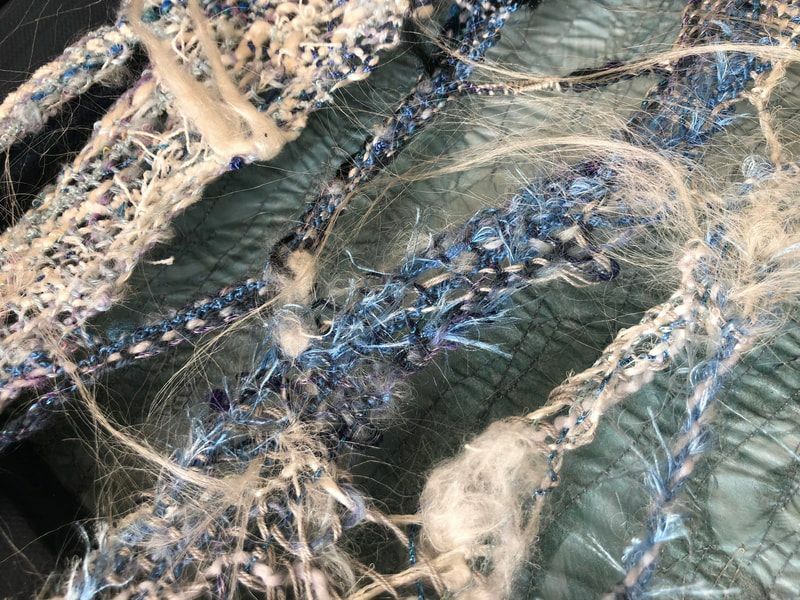 You will explore the possibility of designing your own piece, maybe a small wall hanging inspired by a favourite local landscape, or a more stylized piece using a grid background and mixing copper wire and textured threads. If your design requires it, you will be given the opportunity to learn more traditional techniques alongside experimental methods. If the idea of designing for lace is terrifying, the tutor will bring photographs and pictures and designs which you will be able to use. This course is designed for a range of abilities from improvers to advanced. Some materials will be provided by the tutor. The approximate cost of these will be £10.00 -£15.00, payable to the tutor during the course. The items you will need to bring with you are listed below. Please bring your usual lace-making equipment, pillow, bobbins, pins, scissors. Berry pins, only if you have them, and any threads you would like to experiment with. The tutor will bring extra lace-making supplies, threads and wires. If you want to work a design from a photograph of a landscape, bring that with you along with ideas and enthusiasm. Bring your favourite drawing equipment, only if you have some. The tutor will bring a selection of paper and pencils etc.